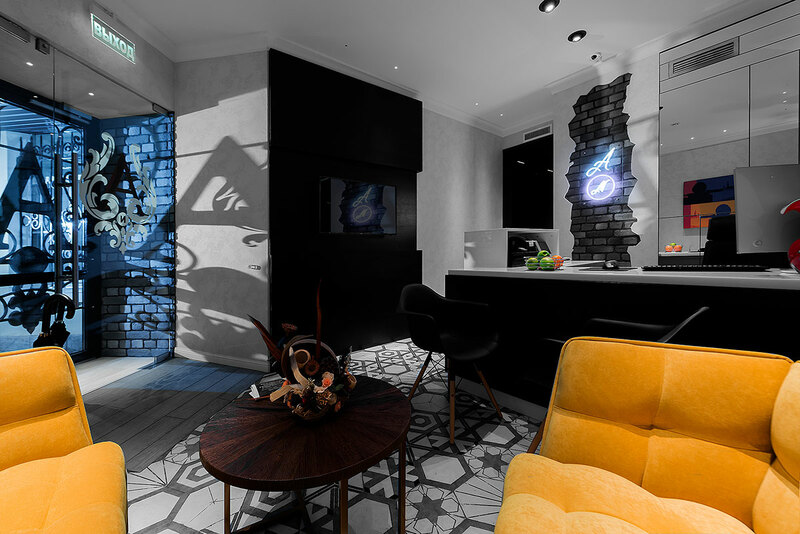 Today mini-hotels become more and more popular in St. Petersburg. 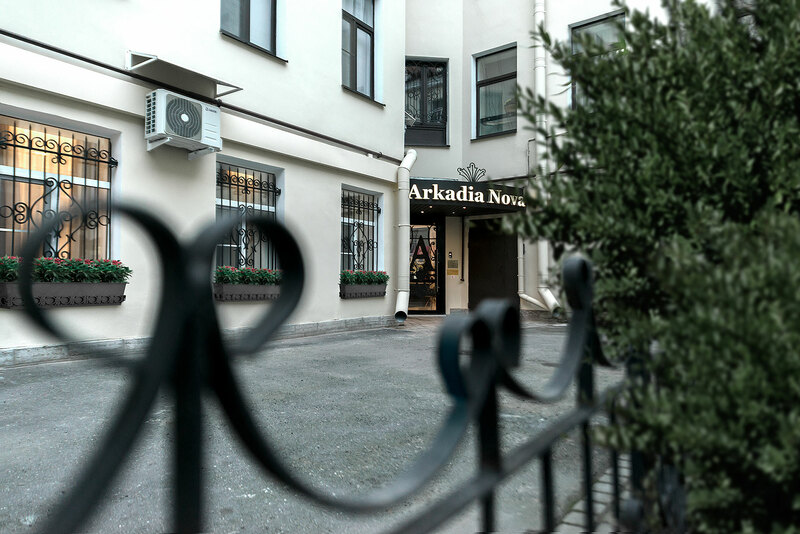 Hotel «Arkadia» is located right in the historical centre of St. Petersburg, in the so-called Golden Triangle. The hotel is situated in the silent square courtyard and has a comfortable rest. Guests can take a fascinating walk along the rivers and canals of St. Petersburg from the pier river buses, are located opposite the hotel on the waterfront of the Moika river any time. The hotel building is surrounded by architectural monuments in the historical centre of Russia's Northern Capital. Within a five minute walk you will find the majestic St. Isaak's Cathedral, Kazan Cathedral, famous Bronze Horseman Monument, splendid ensemble of Admiralty, also the pearl of our wonderful city-Winter Palace and the world famous Nevsky prospect with its numerous boutiques and restaurants. Our comfortable hotel provides a complete set of services. We offer to our guests spacious rooms for every taste. On the ground floor of the hotel there is a small restaurant executed in classical style. At your request we will arrange the holding of any celebratory events (banquets, weddings, corporate evenings, stand-up parties, business lunches). To make your stay more pleasant, there is a 24 hour sauna with a swimming pool fitted with a geyser and counterflow and a comfortable rest room. Hotel Arkadia will provide you with visa support. If you arrive in St.Petersburg on business, you can take advantage of our hotel's office services (free Wi-Fi Internet access in every room, fax, copying, printing, translation and secretarial services). We have a free car park for our guests, 24-hours concierge service and external video control. Only at our hotel newlyweds will spend an unforgettable wedding night. We’ll offer them special discounts, gifts and surprises. If you are travelling with a baby, we give your baby a cosy bed. At any time you will be met by a friendly and professional hotel staff. Warm reception, affordable prices and high quality service — that's the visiting card of Arkadia hotel. That's why staying at our hotel will be perfect for those who appreciate the beauty of St.Petersburg! Tour operators and travel agencies are provided with a flexible system of discounts. Corporate clients and regular guests could be given special conditions of payment.